More than ever it is not that unusual for a father to learn that the child he has been ordered to provide child support for is not his biological child. Instinctively, it would be equitable to assume that a man who is not the biological father of the child should not have to pay child support once paternity is negated. Concerns of paternity fraud are easier than ever to confirm because DNA testing kits are now available for purchase in most major drug stores. However, having a DNA test revealing the biological father of a child does not necessarily mean that a court ordered child support obligation is going to dissolved by the family court. In New Jersey, paternity may be established by a certificate of parentage, or by a signed voluntary acknowledgment of paternity which is considered a legal finding of paternity subject to the right of the signatory to rescind the acknowledgment within 60 days of the date of signing, or by the date of establishment of a support order to which the signatory is a party, whichever is earlier. N.J.S.A. 9:17–41(b). Once there is a court order of paternity, as well as a signed, sworn admission of paternity, the issue of paternity, as adjudicated, can only be voided “upon a finding that there exists clear and convincing evidence of fraud, duress or a material mistake of fact, with the burden of proof upon the challenger . . . ” N.J.S.A. 9:17–41(b). Just as it is not unusual for a man to be led to believe he is the father of a child that is not biologically his, it is not unusual for a man to voluntarily assume the role of a child’s father that is not biologically his. For example a man may choose to sign the birth certificate of his wife’s/girlfriend’s child knowing he is not the father, thereby preventing the child from knowing the biological father. In cases such as this, the doctrine of equitable estoppel can be used in parentage actions to prevent a party from denying child support, where he has voluntarily acted as a parent to the child. See M.H.B. v. H.T.B., 100 N.J. 567 (1985); Miller v. Miller, 97 N.J. 154 (1984); A.K. v. S.K., 264 N.J.Super. 79 (App. Div.1993); M.F. v. N.H., 252 N.J. Super.420 (App. Div. 1991); Savoie v. Savoie, 245 N.J. Super. 1 (App. Div.1990). Equitable estoppel requires “representation, reliance, and detriment.” Miller, 97 N.J. at 167. It arises “when one party is led to change its position in reliance on the course of conduct followed by another, and in that case, the doctrine of estoppel will be applied to bar the second party from altering that conduct if, to do so, would prejudice the first party.” C.R. v. J.G., 306 N.J. Super., 214, 235 (Ch. Div. 1997). In cases wherein the putative father was misled into believing he is a child’s father The New Jersey Parentage Act may provide relief. Under the Act a suit may be brought against the child’s biological father for reimbursement of child support. However, reimbursement from the child’s biological mother is limited on the theory that child support belongs to the child and ordering reimbursement “would inevitably result in a depletion of resources for the child.” J.S. v. L.S., 389 N.J. Super. 200, 206 (App. Div. 2006)(citing to Guglielmo v. Guglielmo, 253 N.J. Super. 531, 602 (App. Div. 1992). The New Jersey Parentage Act provides all children with a judicially enforceable right to such support, regardless of their parents’ marital status. Assembly Committee Statement, at 1. Under the Act, any person who has furnished financial support to a child may institute a proceeding seeking reimbursement for reasonable educational, medical, or other support related expenses from the father. N.J.S.A. 9:17–55a. 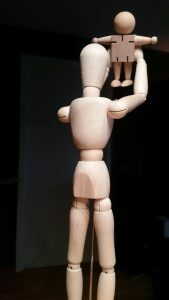 The Act also provides the means for legally identifying the father by granting the “alleged” father or “any person with an interest recognized as justiciable by the court” standing to bring an action “for the purpose of determining the existence or nonexistence of the parent and child relationship.” N.J.S.A. 9:17–45a. The Parentage Act provides that “[n]o action shall be brought under [the Act] more than 5 years after the child attains the age of majority.” N.J.S.A. 9:17–45b. A person reaches that “majority” age when he turns eighteen years old. N.J.S.A. 9:17B–1(a). Accordingly, the Parentage Act establishes a “twenty-three-year statute of repose,” commencing from the date of the child’s birth. Wingate v. Estate of Ryan, 149 N.J. 227, 233 (1997). To succeed in a reimbursement lawsuit of the kind filed in this case, the litigant must first identify the biological father. D.W. v. R.W., 212 N.J. 232, 247 (2012). When a parentage action is brought, one method—perhaps the most effective method—of overcoming the presumption of paternity is through genetic testing. Indeed, there is little question that a genetic test demonstrating non-paternity would meet the clear-and-convincing-evidence standard of N.J.S.A. 9:17–43(b) to rebut the presumption of legitimacy. See, e.g., J.S. v. L.S., 389 N.J. Super. 200, 204–05 (App. Div.2006). After a parentage action is brought “to declare the existence or nonexistence of the father and child relationship,” “a consent conference shall be held by the Superior Court, Chancery Division, Family Part intake service.” N.J.S.A. 9:17–48(a). The Act provides an avenue of relief if the parties cannot reach an agreement concerning parentage. In that circumstance, if “blood tests or genetic tests have not been taken,” then “the court shall order the child and the parties to submit to blood tests or genetic tests unless a party claims, and … the court finds, good cause for not ordering the tests.” N.J.S.A. 9:17–48(d). The Parentage Act further provides that “[a] genetic test shall be ordered upon the request of either party, if the request is supported by a sworn statement by the requesting party which alleges paternity and sets forth the facts establishing a reasonable possibility of the requisite sexual contact between the parties or denies paternity and sets forth the facts establishing a reasonable possibility of the nonexistence of sexual contact between the parties.” N.J.S.A. 9:17–48(d). Thus, “i[f] a party to a paternity action requests genetic testing and submits a sworn statement establishing a reasonable possibility that he is or is not the father of a child, then the court must order a genetic test unless the party opposed to such testing presents ‘good cause’ for not ordering the test. Once the reasonable-possibility threshold of paternity or non-paternity has been crossed, the default position is genetic testing. The burden is on the party-opponent to make a good-cause showing that genetic testing should not go forward.” D.W. supra, 212 N.J.at 248–49. Even if you believe you are not the father of a child you have been ordered to pay support for, you should contact an attorney.